Sam & I discuss the upcoming lesson. Sam does not appear to be impressed. Saddleseat lesson #3 lesson gets an A for confidence-boosting and a C for progress. Five-gaited Buster stayed in the stall & I rode the less exciting but more relaxing Sam. Mild-mannered trots and lots of breaking at the canter. I’ve figured out that the familiar hunter/jumper buttons don’t work but am having trouble finding the saddleseat buttons. Naturally, Sam was thrilled to motor around at half-speed and have an easy day. I could feel him listening but his reply was, Nope, she ain’t got it yet. All of which is ironic because I’m normally better at go than whoa. I have better luck motivating horses with my electric seat than calming down bottle rockets. The best part was the trail ride after. I think I miss that most of all, more than showing, more than jumping, just strolling along. Previous Horse was not one for trail rides. Every so often we’d say Darn it, we have horses. We are going on a trail ride. At which point, PH would be such a pig that we wouldn’t try again for months. PH & I did, however, spend much time ambling around the edge of the pasture for warm-up, cool-down, cold-weather riding, and so on. Mind you, I do like getting on a horse. I’m sure I am much more amenable on Friday afternoons than I am the rest of the week. The plan is to stay with the saddleseat even if/when I am riding my own horse(s) again. Still, it does little to stem the tide of frustration and angst that Rodney can inspire. Are you go or whoa? 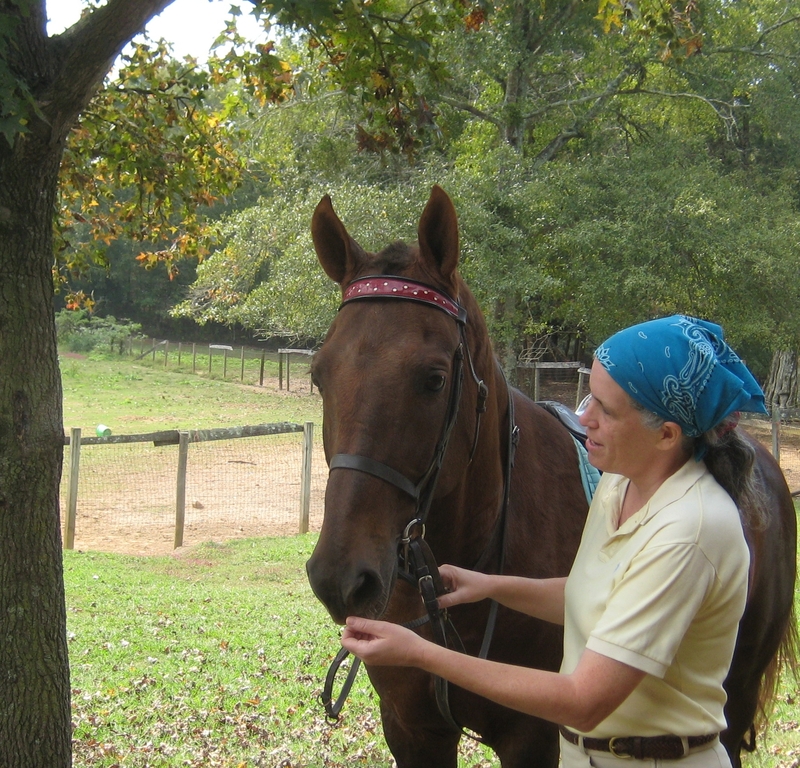 List of previous saddleseat posts, Saddleseat lessons from Stepping Stone Farm. I totally agree with you about having a relationship with a horse instead of ‘just’ riding lessons. You can learn so much more from a horse from simple day-to-day handling then you could in most lessons. I’m lucky enough to have my 2 mares at my back door, but unfortunately life (and laziness) get in the way sometimes and I don’t ride often enough. I can however, always have a groom and a bit of groundwork on a day when I don’t have time to ride but need that horsey fix.